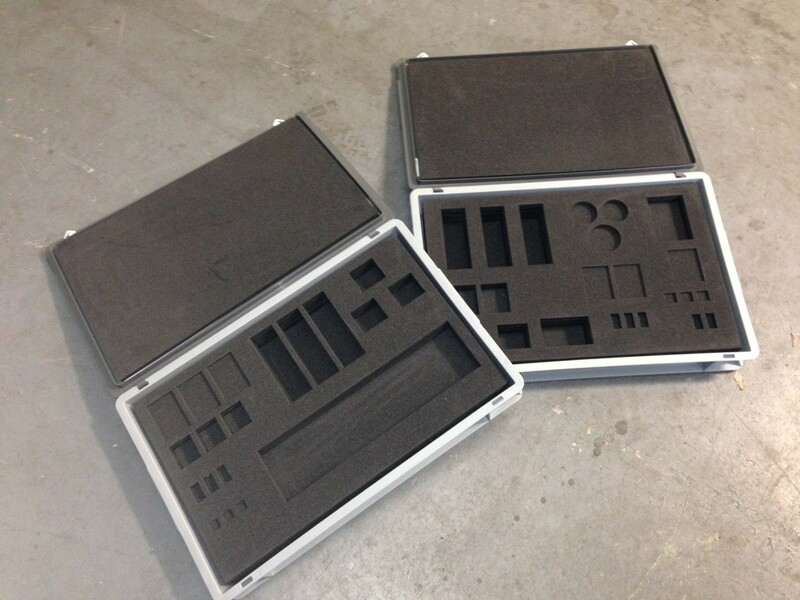 Each Kit comprises of 3 off Euro boxes with foam inserts; 1 off type A design and 2 off type B design. The boxes have a CNC cut plastizote protective foam insert to accommodate the parts. They also feature hinged lids with foam attached to prevent the parts from moving whilst being transported. The boxes have a self colour grey Euro-box finish and self colour black foam insert. Overall size 400mm (L) x 300mm (W) x 80mm (D including lid).